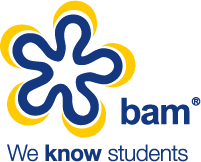 In Oct/Nov 2017 BAM conducted research into the patterns and behaviours in regards to students and accommodation, seeking unique insight into their preferences when it comes to choosing where to live. When do students start looking for accommodation? How do students look for accommodation? How do students prefer to receive communication from accommodation providers? What do students look for in private accommodation? How can private accommodation providers improve their offering to be more attractive to students? How many students live at home vs how many students move out of home when they go to University? Understanding the thought process of students, their habits and what they want from accommodation is key for brands looking to attract more students. It is important to know how best to advertise to students, with what message and through which channels. To receive the full Student Accommodation Survey Report of all our findings, please fill in your details below. If you would like to find out more about how our team can help you analyse and maximise the student market, please get in touch.